Rsync will not use deltas but will transmit the full file in its entirety if it – as a single process – is responsible for the source and destination files. It can transmit deltas when there is a separate client and server process running on the source and destination machines. The reason that rsync will not send deltas when it is the only process is that in order to determine whether it needs to send a delta it needs to read the source and destination files. By the time it’s done that it might as well have just copied the file directly. 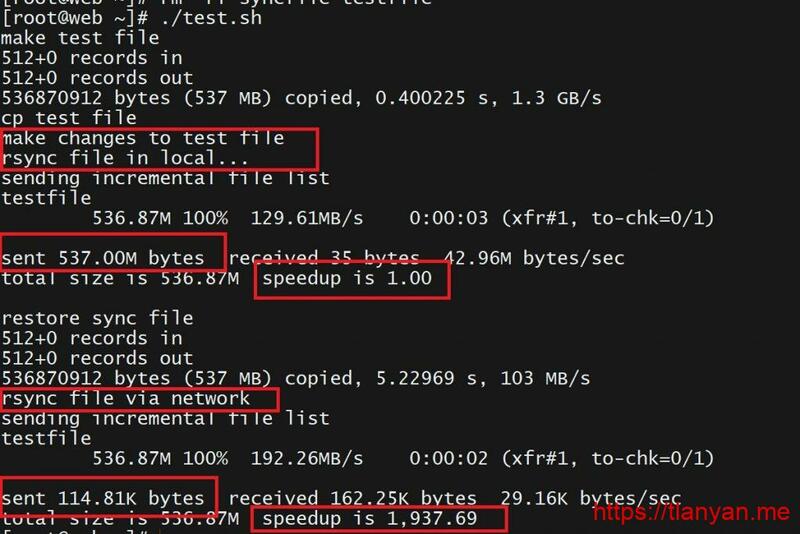 echo "make changes to test file"
echo "rsync file in local..."
echo "rsync file via network"